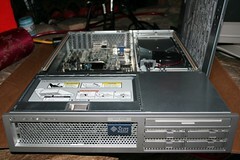 Sun Microsystems donates a beefy database server! I’m very pleased to announce that Sun Microsystems has donated at beefy database server to the MetaBrainz Foundation! This 2U rackmount server comes with 12GB RAM, two dual-core AMD processors (2216) @2.4Ghz, 4 SAS 73GB Drives, dual power supplies and enough fans to make a complete racket. And, to top it all off its really sweet looking and made by Sun, the legendary makers of reliable hardware! Our hardware wish-list still had a powerful database server on it and knowing how I want to grow MusicBrainz this new server was becoming more important all the time. So I expressed my desire for a new database server and Paul and I continued to talk quite a bit about this during our stay in Montréal. In the coming weeks Paul made a concerted effort to stay on point and continuously follow up on the donation process. From the time we first spoke about the possible donation until we actually had hardware in hand was only about 10 weeks time — an amazingly fast process — I was expecting a 6 month lead time for something this large. This new server will allow us to free up the existing database server to be another web server front end. Stimpy our front-end web server has been showing signs of being overloaded (hence the recent couple of downtimes. 😦 ) and bringing online another front end for all of our web service queries will spread the load over more machines. The only downside is that we need to purchase more power since we’re at our max for our current contract. I’m quite excited by this development. This database server gives us room to grow features and the number of users we can handle at the same time. We have more hard drives to spread the load across and room to easily grow the memory to 16GB (or even 32GB, but at greater cost). 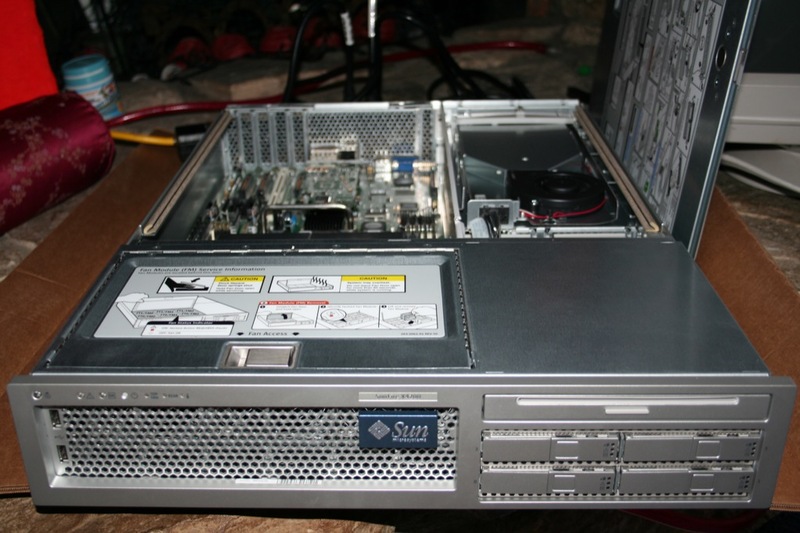 I think this machine is going to be our workhorse server for the next few years. Thank you Paul Lamere, Sun Research, Sun Microsystems — we deeply appreciate your support of MusicBrainz! P.S. It has been suggested that a dedicated MusicBrainz editor be give then chance to name the new machine. If you have someone in mind, please post a comment below. I’m sticking with my suggestion in chat of the name “Moose” since it’s an un-official mascot and describes a beefy server well. I know that Muz probably suggested Moose in fun but I think it would be an ideal name. Everyone on IRC knows it, it does denote something large and strong and it brings with it a touch of light heartedness – something we all need. For me, Moose it is. Sorry Kerensky – I didn’t notice that you have posted. I assumed it was Muz. I still agree though. Thanks, Sun! That’s awesome of you. Do you have a snail mail address for Paul Lamere so we can write him thank you letters? I’d definitely like to thank him in writing for his help. It sounds like these letters would be greatly appreciated! wow! much thanks to Paul Lamere & Sun Microsystems.